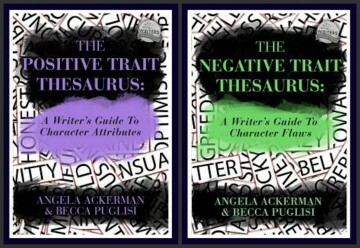 If writing the Positive Trait & Negative Trait Thesaurus books have taught me anything, it is that compelling characters are neither good nor bad, perfect or fundamentally flawed. Instead, they are all of these things. Each has a set of good, admirable qualities, even while displaying frustrating or off-putting flaws. They have strengths and weaknesses in different areas, making them both skilled and inept at the same time. But that’s the point, isn’t it? The best characters are realistic and believable because they are just like real people. Like you or I. They have a balance of positive and negatives that give them a wholly unique viewpoint, attitude, belief system and personality. Some writers want to create protagonists that ONLY have the best qualities, ones that prove they are good human beings that readers will admire and root for. They find it easy to create a blend of traits like loyalty, helpfulness, intelligence and determination, forming a true hero that can handle anything. But when it comes to choosing flaws, they pull their punches, worried that if they add a trait like selfishness, perfectionism, or impulsiveness, readers will view them as unlikeable. Other writers EMBRACE the flawed character. They pile up flaws, forged by a hard past filled with emotional wounds that refuse to heal. They add layers of negative traits like suspicious, mistrustful and erratic, all carefully planned around an elaborate backstory that supports the necessity of emotional armor (flaws) that make them who they are. But when it comes to admirable traits, they struggle. What positive traits would logically survive such a painful past? If say, the character was a victim of horrible abuse and to cope, they became a mistrustful, anti social liar, how can they also be friendly or kind? How can they logically be generous or carefree while harboring such deep flaws? These are not simple questions to answer. Character creation, when done well, is not an easy process. Too many flaws (or even choosing the wrong type of flaw), and a character becomes unlikeable. Too many positive attributes, and they come across as altruistic, unrealistic or even (yawn) boring. So how can we achieve balance? Just like every one of us, your character has a past. And while yes, backstory turmoil and pain should be exploited to create conflict and tension in the present, there is always good mixed with bad. In real life, the good experiences (and people) are what keep us going no matter how bad it gets. So think about your character’s positive experiences and past influences along with negative ones as you dig around in their backstory. Understand what the character learned from both past trials and successes, and how each lesson will help to shape his personality. Nothing modifies behavior like pain, so understanding what deep emotional wounds your character carries is key to knowing what he also yearns for more than anything (Acceptance? Love? Safety? Freedom?) This wound and the fear that it can happen again is what causes deep flaws to form. They act as “false protection” to keep the hurt from reoccurring, and usually hold people at a distance. Here’s a helpful list of Common Wound Themes. For example, a character who experienced rejection might close himself off from potential lovers because of his fear of being rejected again. How would flaws “help” him by pushing women away? Is he arrogant? Promiscuous? Uncommunicative? Dishonest? And what attribute, if nourished, might grow strong enough to vanquish these flaws that hold him back from connection? Respectfulness? Honor? Loyalty? Empathy? Finding a major flaw’s opposite is the pathway to balance & resolving Character Arc through personal growth. Some characters are intentionally unbalanced. If you have a character who leans one way more than the other (such as a villain or anti hero) by story necessity, then make sure you also build in something that suggests no matter how flawed or terrible, there is a chance they can change or be redeemed. Every negative has a positive, and no matter how dark or skewed a character’s view is, or what he feels he’s better without, there will always be a flicker of light that can help him find his way back to becoming whole and complete. Show this to readers, be it a motive that is pure, a relationship with someone that is on some level healthy and good, or a positive quality that is admirable. Balancing your character’s positive and negative sides means some deep brainstorming! If it helps, here are some more ideas on how to plan a character before you start writing. How do you create balanced characters? This entry was posted in Balance, Character Flaws, Character Traits, Character Wound, Characters, Emotion, Empathy, Fear, Positive & Negative Thesaurus Guides, Show Don't Tell, Uncategorized, Villains, Writing Craft. Bookmark the permalink. I love everyone of these wonderful Thesaurues. You both are geniuses. Thanks so much for creating them and sharing your ideas. This was a huge help! I am currently in the process and drawing up character charts for a new story I am working on, and I was so stuck on trying to make the main character have her admirable qualities while also being a bit insecure and mistrusting, but I was really skeptical about doing so. This helps me out a ton, especially with my antagonists. Well, I doubt that. I think that as long as we properly justify, or reveal, thought processes of the characters, they can be great. But then again, most of my antagonists are completely irredeemable, because writing a perfectly happy ending is hard work. And so are the antagonists in many famous stories. Even in reality, every emotion doesn’t have a backstory. Yes, it leads to the characters being less likeable, but the balancing doesn’t always demand likeability, does it? This is absolutely fanTAStic stuff, Angela! Oh, WHAT a surprise to find such incredibly useful info HERE of all places! 😉 Seriously—I haven’t gotten into really doing this in a deep way yet (still not focusing on the novels *sigh*), but oh, when I do, this will serve me so well! 😀 Thank you! 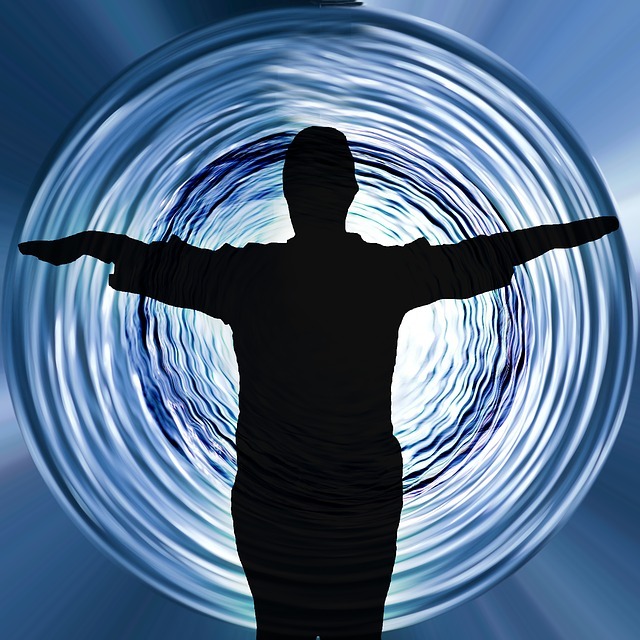 I have a big background in personality theory, so I have a grasp of what the basic types of people have in their typical strengths and weaknesses, what motivates or drives them, and also what will push some qualities to the forefront. It also means I sometimes read characters who are plainly one type of personality who will suddenly do something out of character. Which is not to say they can’t ever do that, just that it won’t come naturally- it needs to be uncomfortable and usually makes them retreat into their old ways rather than embracing the new (think Scarlett O’Hara doing occasional deep thinking, but then retreating into her typical here and now way of dealing with problems). While not a be-all-end-all, it’s very handy when building characters. This is good . I’m bookmarking this post to keep in my helpful info file. Thank you. Excellent post. You definitely need a good balance, sometimes the balance tipping to one side, but everyone has some good in them (and sinful at some point!). I always think of Snape as such an interesting character. He seemed so evil but really had the best of intentions! Snape is such a good example. When you discover his true intentions, it’s practically too late, and it made me want to go back and see him in a new light, to get close to him on another level, to continue onward with him knowing who he truly is, but that is not to be. He was brilliantly written, as was his parting in the story. This is great information. Thank you. I’m currently plotting and outlining, so perfect timing. That’s great! I love the brainstorming point of writing, when we can tweak and make everything fit together before sitting down to write. I’m sketching out my characters right now, so this is just what I was looking for! Thanks for the great post. So very glad this will help!